As a trainer of Four Legged Scholars LLC, Dog Training, Salt Lake City, I am constantly evolving and growing psychologically. As a result, I am taking a program called the Landmark Forum and applying some of what I am learning to dog obedience training. The focus on this post is to help you get more aware of one of the biggest training blocks to success, your mind. We all have a little voice in our head, and yes I am serious. This voice is heard, we believe it, our actions mirror the voice, and we prove the voice to be true. This voice can move us toward or away from dog training goals. Salt Lake City has many programs that help people to become more consciously aware. 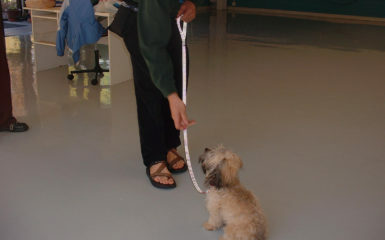 Our goal as a trainer is to create you to be more conscious when training your dog. Close your eyes for a moment and keep your mouth closed. Listen. What do you hear in your mind? Yep that is the little voice I am talking about. As humans, we identify it as ourselves and let this little voice rule the decisions in our day to day life. Having awareness of this can be life changing in regards to your results with dog training. 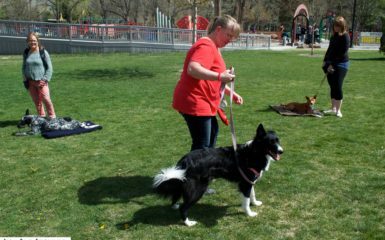 Salt Lake City is the home of many of our clients that have applied this knowledge and significantly increased their dog training results. Here are somethings that this little voice might tell you. I can’t train my dog. I can’t find the time train my dog. An awesome dog trainer gets aware of this voice and doesn’t choose to let it rule his / her training decisions. When we let this little voice rule us we are choosing to make this voice true. For example, our little voice says that our dog is stubborn. We then believe this statement to be true. As a result, our actions then line up to prove that our dog is stubborn. We could do this by not training our dog as often and by being unclear with our body language so that our dog has trouble understanding what we are communicating. Ahha we then prove our little voice to be “true.” Yep our dog is stubborn. Just watch these actions I just did that proved my dog to be stubborn. Of course this is all happening subconsciously until we bring conscious awareness into our lives. As humans we tend to resist the awareness of this voice. So the first step is to become aware of this voice. Once we become aware of this voice we can create more dog training success. Begin by questioning if this voice is true. Let’s use the above example with the little voice stating that our dog is stubborn. We can create a significantly different result if we asked ourselves the following question: “Is it really true that our dog is stubborn?” If we are truly honest, we will realize the answer is no, our dog is perfectly capable of learning. Now begin to ask how or wonder questions to come up with solutions. Here are some great how or wonder questions. How can enroll people to help me train my dog? I wonder how I can easily create my dog to listen to me? I wonder how I can be a successful dog trainer? I wonder if I can become more aware of this little voice in my head and not let it run my life with my dog? Now watch how solutions enter your brain! 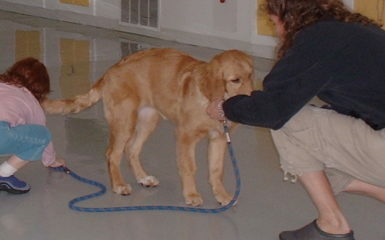 It is time begin success in dog training. 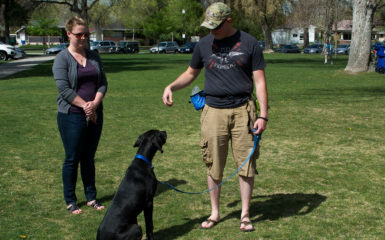 Salt Lake City is a great place to apply this material as there are many people training their dogs and many people who are choosing to be more conscious and aware in their lives. What is your little voice saying in your head? 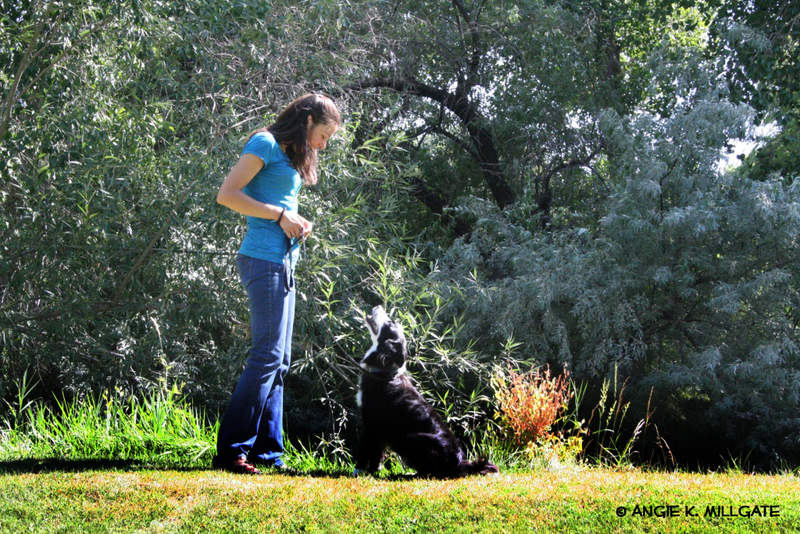 What are some ways you can master this voice to create more dog training success?